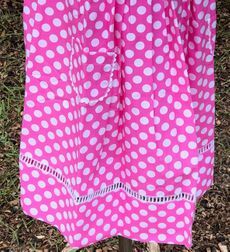 Here is Vive La Fete's beautiful fairy tale princess castles dress. 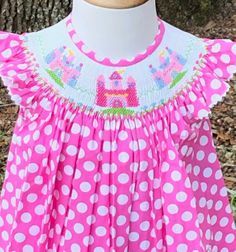 It is bishop smocked, with three hand embroidered princess castles. 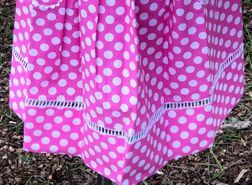 It is made with hot pink with white dots fabric with white ric rac trimming the angel wing sleeves and two sweet pockets on the front of the dress.